On Monday, the Potter County Sheriff’s Office Special Operations Division was conducting an investigation into narcotics trafficking in the panhandle. During the investigation, deputies searched a residence in the 5000 Block of Leigh Ave. in Amarillo. Inside the residence, approximately 470 grams of methamphetamine were found along with a 9mm pistol. 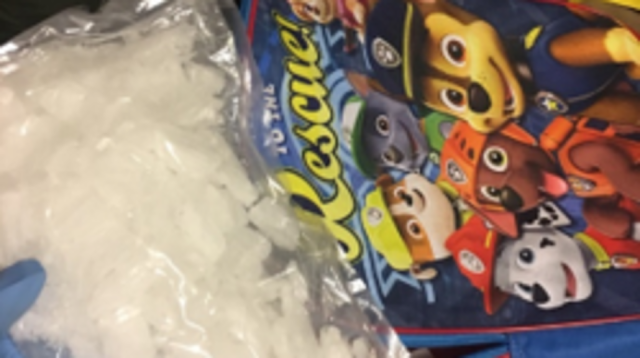 Also found in the residence were multiple small plastic baggies and scales which are consistent with narcotics trafficking. Cederick Lynn Landers, 44, was arrested and booked into the Randall County Detention Center for manufacture delivery of controlled substance penalty group 1 more than 400 grams, unlawful possession of firearm by felon, driving while license invalid as well as a warrant through the city. The investigation is ongoing with the Potter County Sheriff’s Office.